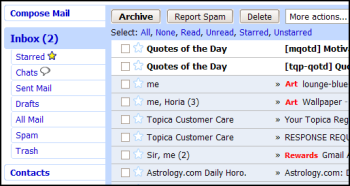 I didn’t know that we can do so much to our Gmail account. This is a great compilation of tools and stuff. gtdinbox is down though. That is the one thing I would be interested on. 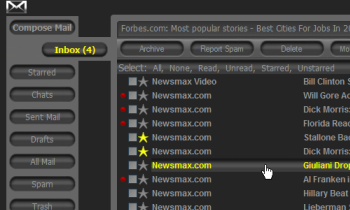 You are aware that the skins under 1. and 2. don’t work with the new Gmail version? Jeton, I think it is a matter of time before someone make them compatible. I understand this is all focusing on the free version of Gmail, but I would love if breakdowns like this included information about which scripts/themes/etc were Google Apps compatible (since it is slightly different/lags a bit behind free Gmail). Excellent! Will this list be regularly updated? Chitika, we will try to keep it updated as we track new tools and resources. 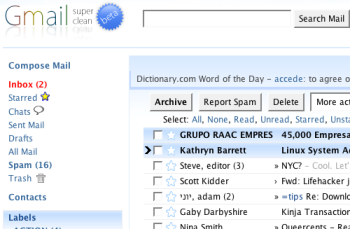 Gmail is the best web-based email client ever, for realz. 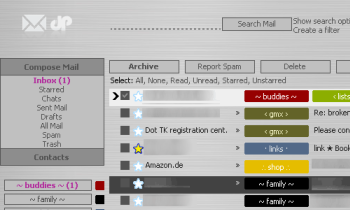 @Oscar – The current release of GTDInbox does not work GMail 2.0, but it does still work OK with the older version. You can expect an updated release with loads of excellent new features *very soon* – I’ve been helping beta test it and its a huge improvement. @Deano – GTDInbox 2.0 will work with Google Apps. Pretty decent list gonna have to try some of these out, thanks. Really incredible. But i don’t know how to install tihs skins? Unfortunately the Mac skin does not work with Gmail 2. I ACTUALLY appeared to be pretty pleased to discover this particular web-site.I wanted to thank you for your precious time with this amazing read!! I ACTUALLY absolutely loving every single little it and I’ve you book marked to see latest information you text. 25 skin para gmail. Muy recomendable para los que utilicen la popular cuenta de correo.